Info: Three young monks from Ngoshul monastery in Ngaba (Chinese: Aba) county in Ngaba Tibetan and Qiang Autonomous Prefecture, Sichuan (the Tibetan area of Amdo) set themselves on fire; one died, while two were believed to have survived and to have been taken away by the authorities. According to Tibetan monks in exile from Kirti monastery, the three monks set fire to themselves at around 3 pm November 7 calling out for the Dalai Lama to return to Tibet and for a free Tibet. 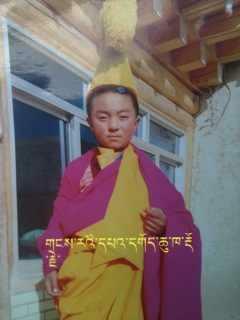 One of the monks, 15-year old Dorjee, died immediately while 16-year old Samdrup and 16-year old Dorjee Kyab survived and were taken away by the authorities.